Fresh ginger also provides a relief from acid reflux. This is because, it absorbs the acid in the stomach therefore helping to calm the nerves contributing to heartburn. You can take a cup of fresh ginger tea twenty minutes before taking a meal and this will not only calm your stomach but also act as an acid buffer. You can also use it as a spice in your cooking or eat it raw. You can consume it regularly so as to prevent heartburn from recurring. This is a popular home remedy for acid reflux. Aloe Vera juice reduces inflammation and heals the gastrointestinal tract. Taking a glass of aloe vera juice provides a calming effect from the burning sensation resulting from the heartburns. For best results, drink ¼ cup of the juice at least 20 minutes before you take a meal. You should however be careful and do not drink too much as this can cause abdominal pain and even diarrhea. 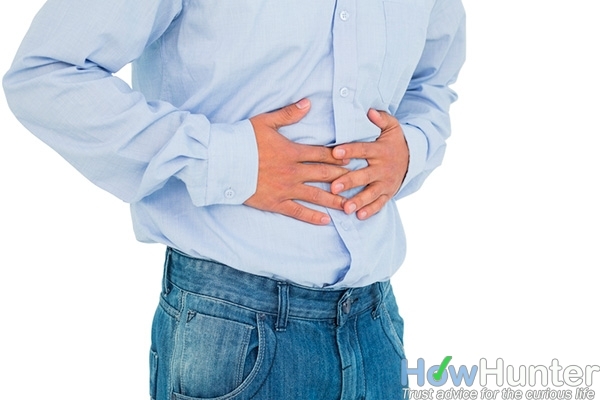 Chewing 3-4 almonds after a snack or a meal is also an effective way to treat acid reflux. Raw, roasted or salted ones are good (and suit the taste buds) and they should be chewed until they are reduced to a flour-like substance. This will release the oils from the nuts which are responsible for calming down the production of acids in the stomach. When you chew fennel seeds (several times a day) they will not only freshen your breath but will also control the production of stomach acid. You can also make herbal tea by adding 2 tsp of fennel seeds to 1 cup of boiling water, let it sit for 10 minutes and then filter into a cup. They will effectively give you a relief from acid reflux. Naturally, bananas contain antacids that are effective in acting as buffers against acid reflux. This is the simplest, home remedy and all you need to do is to eat one ripe banana everyday. Alternatively, you can also try one apple every day and it will relieve and/or even prevent the discomfort. Cabbage juice can also be used as a natural remedy for acid reflux. This is because, it has anti-inflammatory properties that help in alleviating not only heartburns but other digestive problems too. All you have to do is to grind a fresh cabbage in a juicer or a blender (you can mix with 2 carrots). Drink 1/2 cup of this juice early in the morning (before you eat anything else) and it will prevent heartburn. Other vegetable juices such as those from cucumbers, carrots, beetroots, radishes are also effective in alleviating acid reflux. This is because they reduce the production of acid by the stomach (which is the main cause of acid reflux). Baking soda (i.e. sodium bicarbonate) is known to provide a quick, easy relief from heartburn resulting from acid reflux. It is a natural antacid that works within minutes. Being a base, it helps in neutralizing the stomach acid giving you a relief from the burning sensation. All you have to do is to mix b1 tsp of baking soda in a glass of water, stir it well and then drink it. However, you should never exceed 3.5 tsp in a 24 hour period and at the same time, do not use this remedy continuously for more than a week. This is because it is high in salt and may have side effects such as nausea & swelling. Chewing gum stimulates the production of saliva by the salivary glands. This saliva helps in diluting and washing away any acid that is built up in the gut therefore reducing the symptoms of GERD. In fact, a study that was recently conducted by The Journal Dental Research showed that, people with GERD experienced relief after chewing a sugar free gum for thirty minutes after a meal. Note that, different people respond differently to different remedies. Therefore, you should not limit yourself to only one remedy. Instead, you should try at least several of them and you will definitely find one that works for you. All these remedies are natural however, you should consult a doctor before trying them. Also, if you notice some side effects while using any of the remedies, it is advisable to stop using it. If you think your condition is more serious, you should consult a doctor immediately. Would also like to add that olive oil is a good home remedy for acid reflux and heartburn.